“Umpqua” is the name of a Native American tribe who have inhabited this area for centuries. 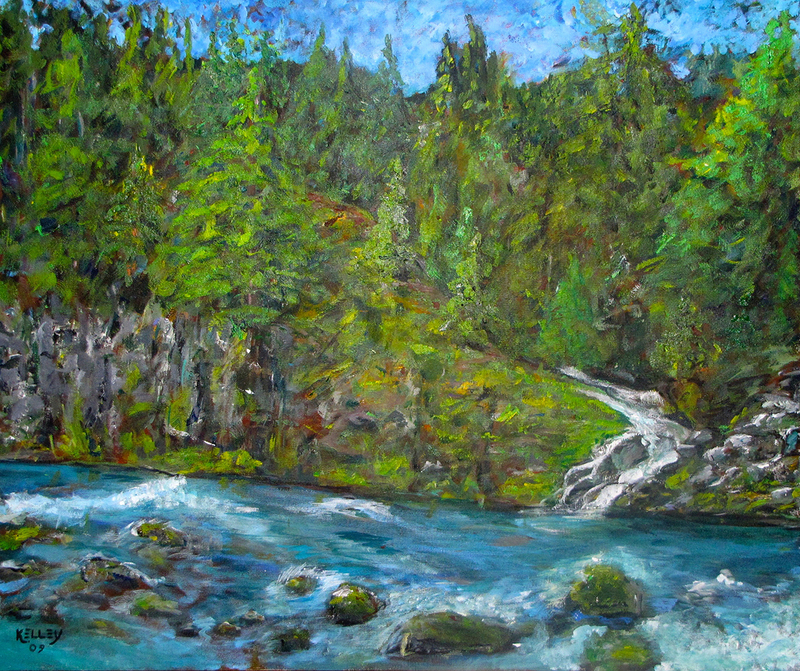 The river itself is in southern Oregon and connects the foothills of the Cascade Mountains with the Pacific Ocean…111 miles or 180 km. Details:Acrylic on Stretched Canvas • 120 x 120 cm; 47.2 x 47.2 inches.Price:Sold, In a private collection in Oregon.